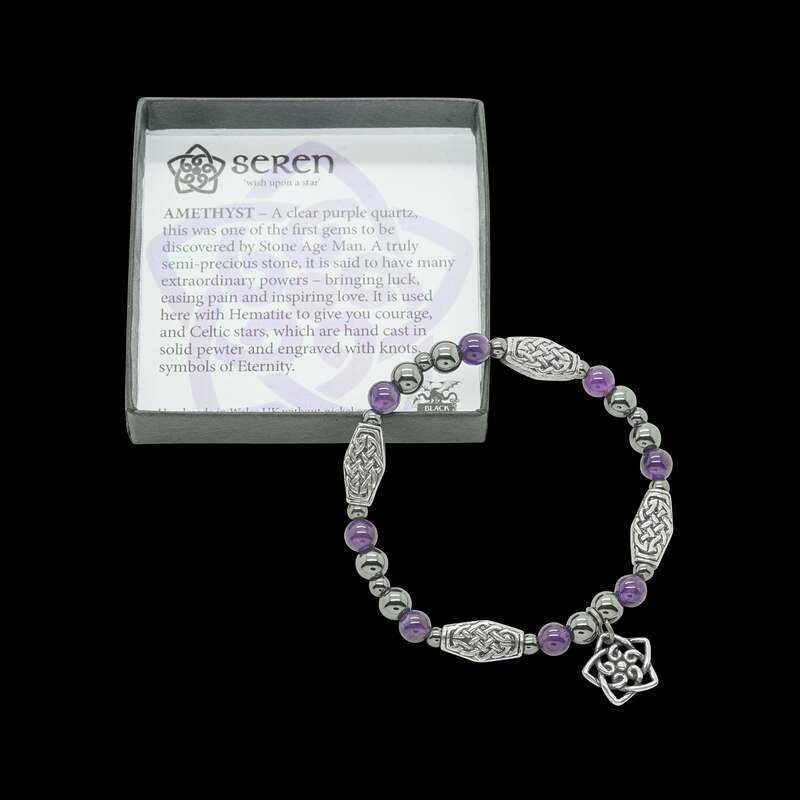 A Celtic knot inside a pewter star, dangling with your choice of gemstone charms on a stretchy bracelet – with our very own pewter ‘lozenge’ beads and yet more gemstones. Beautifully boxed. Make a wish!